I am excited to be throwing a jewelry designer into the mix this year. Art Smith’s work. Art Smith Jewelry exudes rhythm and carry life before being worn by the wearer. Art Smith’s prolific career is one of the few designers of African descent whose story is well documented, investigating his work and business acumen was inspiring. His work is definitely experimental in scale and bending reality. Arthur “Art” Smith was born in Cuba to Jamaican born parents. His family immigrated to the US when Smith was a toddler and settled in Brooklyn, New York. Much is not known about Smith’s childhood or if he had any interest in the arts in his adolescence. Art Smith graduated from Cooper Union in 1945 focusing on sculpture. It is noted that Cooper Union’s dean encouraged Smith to go with Architecture as a major. This would be a safer bet for a black man in the ‘40s as opposed to being an artist, let alone a jewelry designer. This is a constant battle that I feel like numerous black artists can relate to. It can be incredibly hard to find your place in the art world no matter what, with your chances dwindling as a minority artist. Designing jewelry would have definitely been out of the norm for a black man during that time. Art Smith stuck with his passion and pursued sculpture and jewelry, it’s pretty funny that his struggles with math in relation to buildings was also one of the reasons he decided against that track. I feel you on that one Art, set some math in front of me and I’m gonna need a full day but give me some measurements or formulas and I can draft a pattern or come up with a dye. After graduating, Smith found work with Harlem’s Children Aid Society as the Crafts Supervisor. Smith was responsible for developing and teaching arts programming for neighborhood children. While working with Children Aid Society, Smith kept growing his passion and craftsmanship by taking jewelry design night classes at NYU. He also got his big break when he began assisting fellow CAS teacher and designer, Winifred Mason. 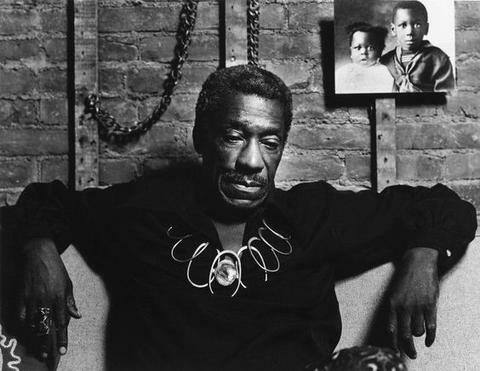 Mason is credited as being the first noted commercial black jewelry designer in the US. Mason was in the beginning stages of opening a shop/studio on Third Street in Greenwich Village and invited Smith to work for her as her assistant. Smith took this time under Mason’s tutelage to perfect his craft, develop his aesthetic and get some business smarts. In 1946, Smith made his place in history and opened his own jewelry studio. Its first location is noted in being in Little Italy on Cornelia Street for four years. Too many incidents of racial violence drove Art Smith to another storefront, plus little respect for him because he was an artist. He, however, did not leave without a fight.The Civil Rights Congress came to his aid after his plight was publicized in The New York Times, resulting in his store receiving police protection. Smith ultimately found a new home in Greenwich Village with the financial help of Craftsmen’s Equity. Smith would operate his space in Greenwich until his death until 1979. Smith really took into account the type of work he wanted to create for the sake of being an artist and what would be accessible to the community around him. Many of his designs were available in different materials like brass, copper, silver or gold to fit your lifestyle. Smith also expanded his network by working with musicians, dance troupes like Claude Marchant, theatre groups and being an advocate for black and gay rights. His jewelry is noted as being “inspired by Surrealism, biomorphism, primitivism, and a deep understanding of the female form, Smith created jewelry that is dynamic in size and shape but remains lightweight and functional.” The scale and fluidity of his work is something that immediately struck me. They are incredibly avant-garde without being pretentious, he created pieces that can truly be worn in everyday life. Art Smith received many accolades during his career including being featured in the 1948 National Exhibition of Contemporary Jewelry. When Smith was included, it was the show’s second year and was held at the Everyday Art Gallery at the Walker Art Center in Minneapolis. His work has also been exhibited at Brookfield Craft Center, The Studio Museum in Harlem and a solo exhibition in 1969 with Museum of Contemporary Crafts (American Craft Museum). In 2015, Smith was honored with a retrospective at the High titled From the Village to Vogue: The Modernist Jewelry of Art Smith. The show featured 20 pieces and archive material from the artist’s estate to create an immersive experience. Art Smith proved that sticking to your purpose can be rewarding in the long run. He could have easily taken the advice of the dean at Cooper Union and went with a safer career track, or he could have decided to never open another storefront after enduring so much prejudice and hatred. Navigating these obstacles and trusting your inner voice is a big takeaway from Smith’s story, as well as pushing the envelope on what functional art can be.